A new report from Complete College America (CCA) is pushing higher education institutions to rethink their student onboarding and advising experiences by encouraging them to help students connect their purpose and career interests to an academic program early on. The report “Shared Beliefs and Practices for Putting Purpose First in American Higher Education” promotes high-impact practices that institutions can implement such as conducting career and interests assessments, providing labor market data to students, creating academic pathways that enable career exploration and focusing on proactive advising to build students’ momentum to degree completion and career. Such strategies can empower students to make informed choices and “become authentic owners of their own career aspirations,” the report said. 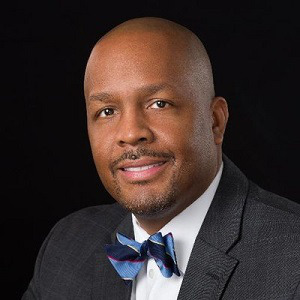 “Purpose First” has always been a part of CCA’s prescriptive set of guidelines for guided pathways, said Dr. Dhanfu E. Elston, vice president of strategy for Guided Pathways and Purpose First at CCA. The new report will provide a “sense of clarity” for institutions around providing students with the information they need to find the intersection of their interests, academic major and career goals. III. The importance of states, systems and institutions building a ‘culture of purpose’ across all tiers in higher education. CCA promotes offering “meta majors” to allow students to explore career options without wasting time or money. Integrating technology into ‘Purpose First’ efforts can empower students in their academic and career exploration process, the report said. Additionally, building career exploration discussions into new student orientation and First-Year Experience (FYE) courses, encouraging mentorship and internship opportunities and connecting students to career-aligned organizations on campus can help students. Currently, few institutions embed career exploration into FYE, Elston said, and some career services offices get minimal time during orientation to share the value of students connecting with their office. “Many students are coming to school to get a job,” Elston added. He said that it is a disservice to students – especially low-income, first-generation or underrepresented students – if they do not have the career information they need in the first year to select an academic program, make progress in credit accumulation and move into their career field with the needed labor skills. Beyond academic advisors, other campus leaders’ involvement is critical to helping students connect their academics and career goals. “We’re really starting to understand that you have to involve faculty members in that conversation,” Elston said. Complete College America and Strada Education Network created the Purpose First Initiative in 2016 with the Community College System of New Hampshire, members of the University System of New Hampshire, the State Council of Higher Education for Virginia, Tennessee Board of Regents, University of Hawaii System, University of Houston and Houston Community Colleges. Several institutions’ practices and impact results are highlighted in the report. The report recommends several data metrics to measure the impact of an institution’s ‘Purpose First’ efforts. Metrics to track include the number of students enrolled in a degree pathway when they first enter the institution and the number of students enrolled in a degree pathway by the end of their first academic year. Institutions should also assess the number of students enrolled in a degree pathway who have completed 30 or more credits in their first academic year and who have completed nine credits in the major. Further, institutions should track students’ stability and success in their major, including their GPA after the first academic year and the number of students who persist to the second year in the major. Embedding career information early on has to become a requirement, Elston said.